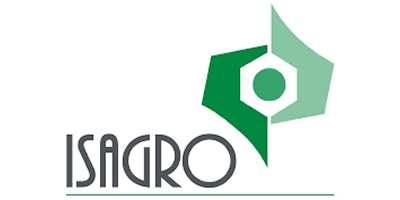 Isagro is an Italian Company employing about 650 people and operating in research, development, production and distribution of agropharmaceuticals – products for crop protection – and investing in the innovation and development of new molecules with a low environmental impact. Isagro was established in 1993; it was listed in 2003 on the Italian Stock Exchange and was admitted to the high requirements stock segment (STAR) in 2004. Isagro carries out its manufacturing activities at 5 sites, 4 in Italy and 1 in India with direct distribution in Brazil, Colombia, Italy, India, Spain and United States. It is also present in other countries with legal entities holding local registrations. Isagro sells in 80 countries. Employees: around 100 people working in Research & Development. Isagro mission is to offer chemical and biological solutions, which are innovative for the health of crops with full respect for the environment and and for users and consumers of agricultural products. At the hearth of our strategic and innovative projects, are Farmers and Farms with their need to satisfy the food chain with high quality products. Our ambition is to guarantee food safety by exploiting the planet’s resources sustainably: a larger production in a better way.